The saying that necessity is the mother of all invention takes really different meaning with the story we are about to tell you today. This is a story of mettle friends. What would you do when you find out that a young cousin or sibling is on Facebook. Some of you let this transgression go unnoticed and the others prefer to tell on the kids. Eventually the parents find out that the child is on a social media site and the kid’s account gets deleted. This is the situation that befell young Zachary Marks, 11-years-old, who was two years shorter than the age limit. When his parents found out that he had been engaging in risky online activities, they naturally pulled the plug. So did Zachary throw a tantrum? Did he beg them to let him? Did he go behind their back to create another account? The answer to all these questions is no. What he did was think way ahead of his age and created his own social network. And thus began the story of Grom Social. The entire story is there on the about us page. Zachary had a Facebook account about a week and was addicted to it. He spent all his time chatting with friends and as he says, he started making mistakes. And an adult friend of his used an expletive and he cursed right back. He had also friend-requested a number of grown-up whom he did not know. Only a day later his father found out about it and his account was instantly deleted. Zachary started searching the internet for a social network that is both safe and one that he would find cool. Sadly he could not find any site that would interest him. Eventually he came up with the idea of starting his own social network with all the features of any other social networking site. The site has a language filter and does allow overage users to join unless they are friends or family of younger users. Adults need to be approved by both the Grom Social user and the parent. Grom is a colloquial term for young internet users but Zachary has singlehandedly re-purposed the word to mean precocious children. Is it really that child friendly? Grom Social is even COPPA (Children’s Online Privacy Protection Act) which popular social networking sites are not compliant with. This is because the number of verifications that have to be implemented are too cumbersome for mainstream social media sites and they find it much easier to simply ban underage users. The efforts of young Zachary are worth applauding. The child has managed to create a website that respects the privacy of users and completely protect it; something which Facebook has managed failed to do in many of its aspects. 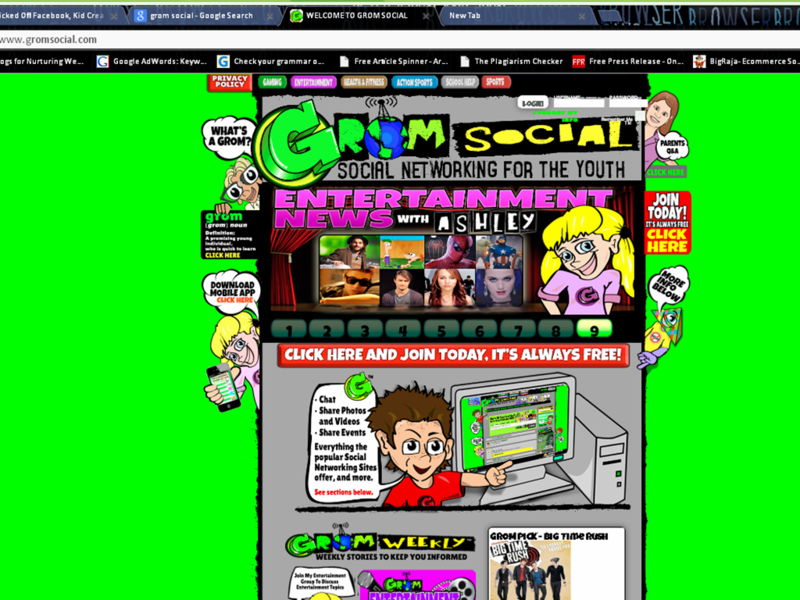 If you check out Grom Social then you will know that it is a really promising social network. You will find that the kids who join the website will actually be engaging in an activity that is meant for them and can actually learn and grow. Truth be told we are on the verge of jealousy that we cannot join the site unless we know somebody already there on the site.